Defending event and champion Robert Hight, powered his Auto Club of Southern California Chevrolet Camaro SS to his second consecutive win with his pass of 3.955 at 325.69 to defeat J.R. Todd’s 3.984 at 319.52 in his DHL Toyota Camry. His fourth career victory at Texas Motorplex, and 45th overall leaves Hight with a 50-point lead over Todd and came just 10 days after he underwent surgery for a left clavicle open reduction and internal fixation following a harrowing engine explosion at St Louis. “This AAA team was just flawless,” Hight said. 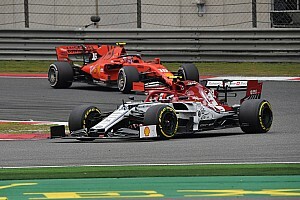 “We just got better all weekend as we went. I promise you that we will celebrate tonight because we’re going to make up for the last one. Top Fuel points leader Steve Torrence has now swept the first three races during Countdown to the Championship after his pass of 3.786-seconds at 325.92 mph in his Capco Contractors dragster defeated Terry McMillen’s 3.826 at 321.04 in the final round. Torrence earned his eighth victory of the season and 24th of his career and now has a 103-point lead over the category. Torrence beat Bill Litton, Blake Alexander, and eight-time champion Tony Schumacher to reach the final round. 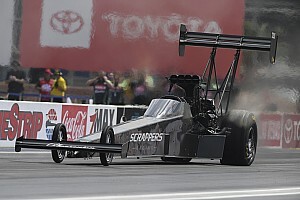 McMillen defeated Mike Salinas, defending champion Brittany Force, and No. 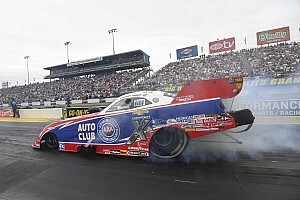 1 qualifier, Clay Millican. Tanner Gray grabbed his second consecutive victory during the Countdown to the Championship with his pass of 6.622 at 207.62 in his Valvoline/Gray Motorsports Chevrolet Camaro to take down No. 1 qualifier Jeg Coughlin Jr. in the final round. Gray who knocked off Deric Kramer, Greg Anderson, and Matt Hartford to secure his seventh Wally of the season, 12th of his career and continue to extend his points lead. LE Tonglet earned his fourth victory of 2018 and 20th of his career with his run of 6.892 at 194.80 to team owner Jerry Savoie’s 6.907 at 193.88. The 2011 PSM champion took the points lead after his second win at the track on his Nitro Fish Racing Suzuki. He picked up round wins against Andrew Hines, Angelle Sampey, and defending world champion Eddie Krawiec en route to the finals. TOP FUEL: 1. Steve Torrence; 2. Terry McMillen; 3. Clay Millican; 4. Tony Schumacher; 5. Blake Alexander; 6. Antron Brown; 7. Leah Pritchett; 8. Brittany Force; 9. Richie Crampton; 10. Mike Salinas; 11. Doug Kalitta; 12. Scott Palmer; 13. Shawn Reed; 14. Kebin Kinsley; 15. Billy Torrence; 16. Bill Litton. Final: Steve Torrence, 3.786 seconds, 325.92 mph def. Terry McMillen, 3.826 seconds, 321.04 mph. FUNNY CAR: 1. Robert Hight; 2. J.R. Todd; 3. Tommy Johnson Jr.; 4. Bob Tasca III; 5. Tim Wilkerson; 6. John Force; 7. Cruz Pedregon; 8. Jack Beckman; 9. Courtney Force; 10. Ron Capps; 11. Matt Hagan; 12. Shawn Langdon; 13. Terry Haddock; 14. John Hale; 15. Jeff Diehl; 16. Jim Campbell. Final: Robert Hight, Chevy Camaro, 3.955, 325.69 def. J.R. Todd, Toyota Camry, 3.984, 319.52. PRO STOCK: 1. Tanner Gray; 2. Jeg Coughlin; 3. Vincent Nobile; 4. Matt Hartford; 5. Drew Skillman; 6. Erica Enders; 7. Greg Anderson; 8. Kenny Delco; 9. Jason Line; 10. Alex Laughlin; 11. Deric Kramer; 12. Chris McGaha; 13. Bo Butner; 14. Fernando Cuadra; 15. Alan Prusiensky; 16. Val Smeland. Final: Tanner Gray, Chevy Camaro, 6.622, 207.62 def. Jeg Coughlin, Camaro, 6.636, 207.82. PRO STOCK MOTORCYCLE: 1. LE Tonglet; 2. Jerry Savoie; 3. Eddie Krawiec; 4. Steve Johnson; 5. Angelle Sampey; 6. Karen Stoffer; 7. Kelly Clontz; 8. Angie Smith; 9. Matt Smith; 10. Hector Arana; 11. Ryan Oehler; 12. Joey Gladstone; 13. Andrew Hines; 14. Anthony Vanetti; 15. Hector Arana Jr; 16. Scotty Pollacheck. TOP FUEL: 1. Steve Torrence, 2,468; 2. Clay Millican, 2,365; 3. Tony Schumacher, 2,303; 4. Leah Pritchett, 2,244; 5. Antron Brown, 2,221; 6. Terry McMillen, 2,189; 7. Doug Kalitta, 2,169; 8. Mike Salinas, 2,150; 9. Brittany Force, 2,140; 10. Scott Palmer, 2,117. FUNNY CAR: 1. Robert Hight, 2,387; 2. J.R. Todd, 2,337; 3. Tim Wilkerson, 2,254; 4. Tommy Johnson Jr., 2,251; 5. 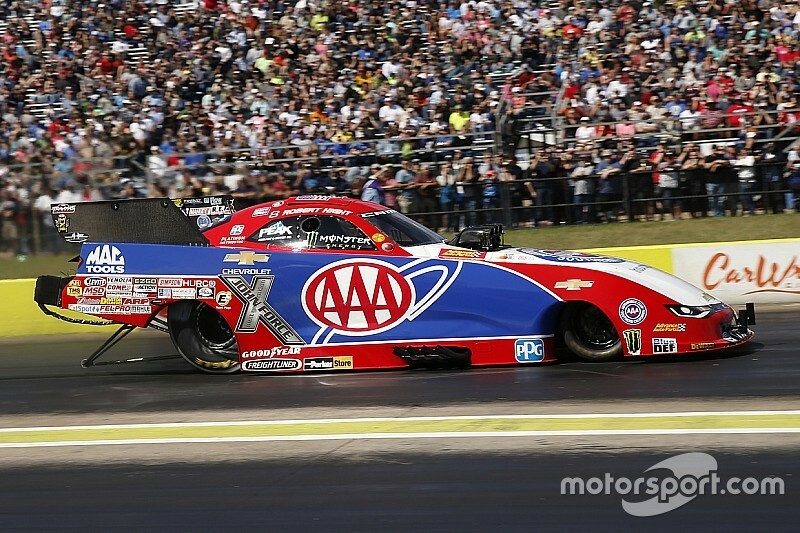 Courtney Force, 2,232; 6. Ron Capps, 2,215; 7. Matt Hagan, 2,175; 8. Jack Beckman, 2,172; 9. John Force, 2,168; 10. Shawn Langdon, 2,120. PRO STOCK: 1. Tanner Gray, 2,409; 2. Vincent Nobile, 2,320; 3. Jeg Coughlin, 2,319; 4. Drew Skillman, 2,275; 5. Greg Anderson, 2,266; 6. Erica Enders, 2,251; 7. Jason Line, 2,175; 8. Bo Butner, 2,154; 9. Deric Kramer, 2,136; 10. Chris McGaha, 2,096. PRO STOCK MOTORCYCLE: 1. LE Tonglet, 2,356; 2. Eddie Krawiec, 2,309; 3. Matt Smith, 2,308; 4. Hector Arana Jr, 2,253; 5. Jerry Savoie, 2,247; 6. Andrew Hines, 2,233; 7. Steve Johnson, 2,183; 8. Angie Smith, 2,168; 9. Angelle Sampey, 2,143; 10. Scotty Pollacheck, 2,125.